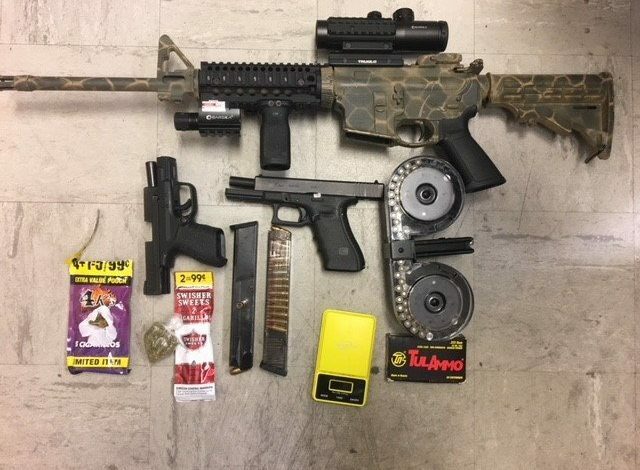 Investigators with the New Iberia Police Department made several arrests last night and recovered three stolen firearms. Investigators were following up on the shooting that occurred on Sunday on Mississippi Street. A police spokesman said warrants for two other individuals on charges of attempted second-degree murder are excpected later today. In a separate investigation, investigators arrested three other people. Jacoby Colbert, 27, and Dyandrick Wilson, 24, were charged with probation and parole violation on a warrant, possession of marijuana, three counts of felon in possession of a firearm, and two counts of illegal possession of a stolen firearm. Jarrell Colbert, 25, was charged with possession of marijuana, three counts of felon in possession of a firearm, and two counts of illegal possession of a stolen firearm, and resisting an officer by providing false information.